Here are the steps to get AIF up and running and accessible. 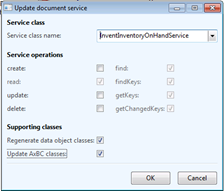 In this example I have created an excel add-in to pull on hand information for items. Firstly you need to create a port to allow access to your data. 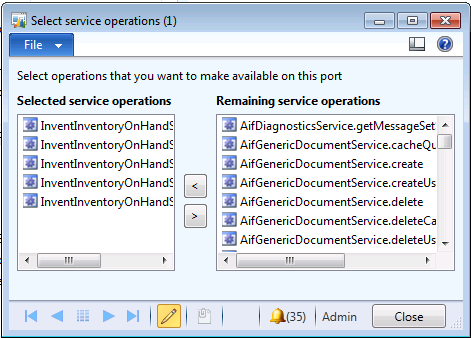 There are two ways of creating a port, you can either create an advanced port (which gives you a lot more control) or create one by using service groups. I have used the advanced option but tagged on the end of this is a quick summery on creating a service group. You can also set things like extra security and logging but they are not needed in the scope of this. You can now check that your service is accessible by pasting the URL in to a browser (You should get an XML file returned – the xsd). I had also wanted to use a display method which was not originally setup – in this case the item name. After a lot of issues I have managed to set this up. 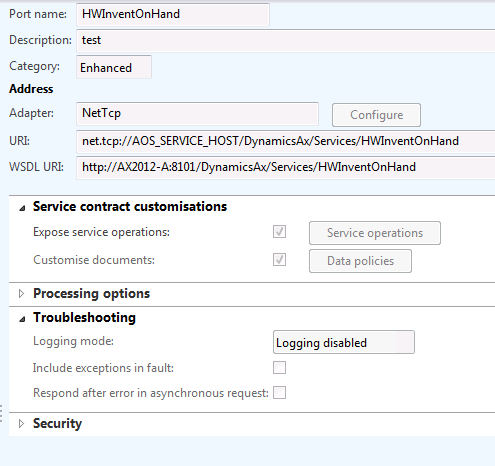 If you are using a service group the xds should now be ok, however if you are using an advanced port I have found it better to open up the data polices and make sure that the extra field is there. I have created a small Excel add-on in C# which will pull all of the items and how many are in stock and them move that information in to an Excel spread sheet. 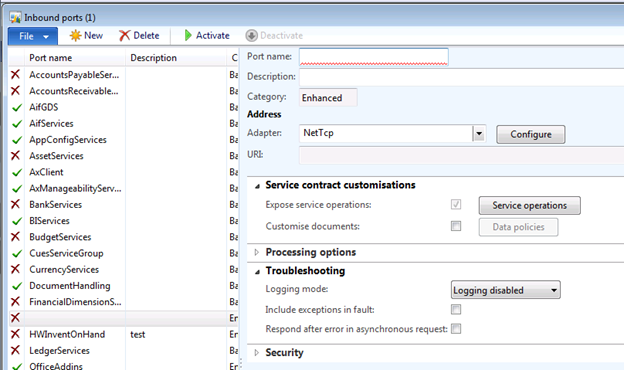 Right click and then select deploy and your service will have a port setup in the Inbound port settings.